Park Gyu ri, held a surprise fan event to celebrate her 12th anniversary. Actress Park Gyu ri presented precious memories to fans as she celebrated her 12th anniversary. 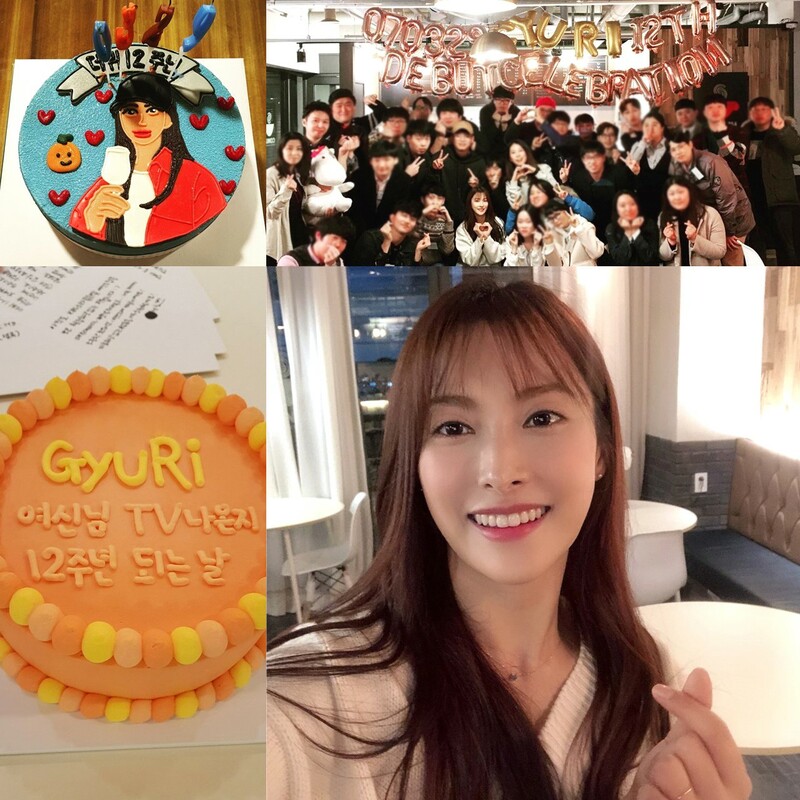 Park Gyu ri spent a special time with fans on March 30, hosting a surprise fan event at a cafe in southern Seoul to celebrate the 12th anniversary of her debut. Park Gyu ri debuted on March 29, 2007 with the group KARA's first album "Blooming," Celebrate the 12th anniversary of her debut, gave fans a surprise fan event that thanked them for their unwavering love so far. Fans have prepared special cakes and gifts to celebrate the 12th anniversary of Park Gyu ri's debut also impressed her by delivering a few rolling paper on their way home. Park Gyu ri continued her warm hours by showing her fan love until the end, taking pictures with all the fans who attended and delivering gifts she had prepared. Park Gyu-ri had a great time with her fans, and she said "I want to thank all the fans for coming to celebrate the 12th anniversary of my debut and to tell them that I love them to all the people who have continued their love since debut, I've had a really unforgettable day. We will continue to work hard to make dreams in the future and to repay the fans love"
Park Gyu ri is the main character of "Revive by Tokyo 24," a spin-off version of the movie "Tokyo 24," and preparing active moves before her release in Japan in May.